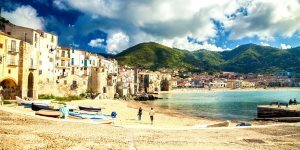 Sicily is a fantastic family holiday destination - for so many reasons! You can be there in under three hours; it has a wonderfully friendly atmosphere with children welcome in most restaurants; the beaches are glorious, many of them with gentle gradients so you don't have to worry too much about deep water and strong currents; some resorts offer kids clubs so there's always something for the kids to do; and there are great days out. Our Sicily hotel collection features many properties which are ideal for families. We also offer villas with their own pools for those wanting a little more privacy. What more could you want? We're pleased to work with Avis to offer a flexible and competitively priced car hire. Let us know what works best for you and we'll be on hand to advise the best choice of car to take the hassle out of your holiday travel. 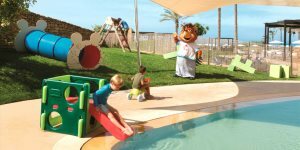 Many hotels in Sicily are set up with families in mind and offer incentives and discounts, with most of our holiday hotels offering discounts for children. We're happy to advise which hotel would work best for you. We want you and your family to feel safe and secure. Please ask if you have any concerns about pool areas, instances of steep steps or any concerns you might have regarding your accommodation.